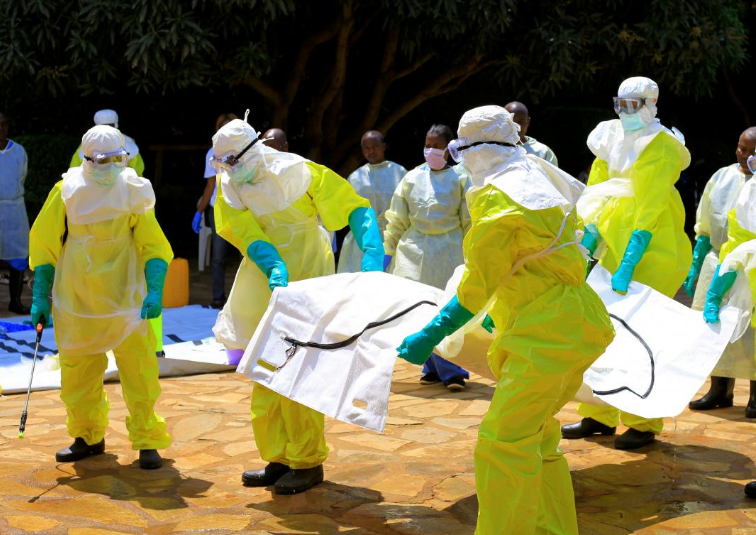 The World Health Organisation admitted during a press briefing in Geneva, Switzerland today that the new outbreak of the deadly Ebola virus in Congo is spreading beyond their control. They believe that on top of the 44 confirmed dead, some 1,500 people have possibly been infected with the virus. The new Ebola epidemic that is ravaging the Kivu region in Congo (and has by now crossed the border into neighbouring Uganda) has so far claimed 44. A further 78 cases have been confirmed. Related coverage: <a href="https://thegoldwater.com/news/33182-Ebola-New-Congo-Outbreak-Kills-33-Video">Ebola – Congo outbreak kills 33 (Video)</a>. Given the added insecurity due to Kivu being a conflict region, the WHO said it is hard to give an exact estimate beyond the 1,500 suspected cases as they can’t send in additional aid workers. All new cases since the last update have become ill through contacts with people who have already been known and followed up. The WHO spokesman admitted that they expected more cases to emerge. The new epidemic was at first declared on 1 August, just over a week after the end of another epidemic had been declared finished elsewhere in Congo. There would be no connection between the two. On the other side of the country, near Kasai, French media report that authorities are still dealing with a Cholera outbreak which has so far killed 125 since February. So yeah… just another reason for the dems to open borders, huh? SURE MAKES YOU WONDER Doesn't it? Chilling warning that tens of millions of people could be killed by bio-terrorism was delivered at the Munich security conference by the world's richest man, Bill Gates in 2017. Oh! Seems the depopulation agenda is underway. it's long overdue. i knew that they would start in Africa. the wildlife there needs a break from the savages. the white man should let those people solve their own troubles as we are fed up with their calls to kill the white man around the world.